A couple days back I spoke at World College of Technology and Management in Gurgaon. My topic Building a career in Artificial Intelligence was directly aimed at students at the cusp of starting a career. Without going into deep technical details, my session was designed as an eye-opener for students (and teachers alike) who have wondered today’s hot question–what does it take to become an ‘AI engineer’? The keynote presentation (by Nishith Pathak) talked about the importance of AI, the various possibilities it opens up and some industry use cases. My session having been scheduled right after the keynote benefitted from the expectations the keynote speaker had set about AI. While the keynote highlighted the functional and business aspects of today’s arguably #1 buzzword, my presentation dived a little deeper into uncovering the skills and knowledge required to try and enter this amazing field of study. I say field of study since most of the useful work on AI is still purely scientific and even academic. But since corporations are increasingly adopting the set of ideologies that define AI in an attempt to create intelligent solutions for their clients, job opportunities have started to open up for people who know the science and math behind AI. As any sufficiently technical person would know, machine learning is at the heart of developing AI solutions. And, so, my presentation put focus on ML and the skills required to learn it. 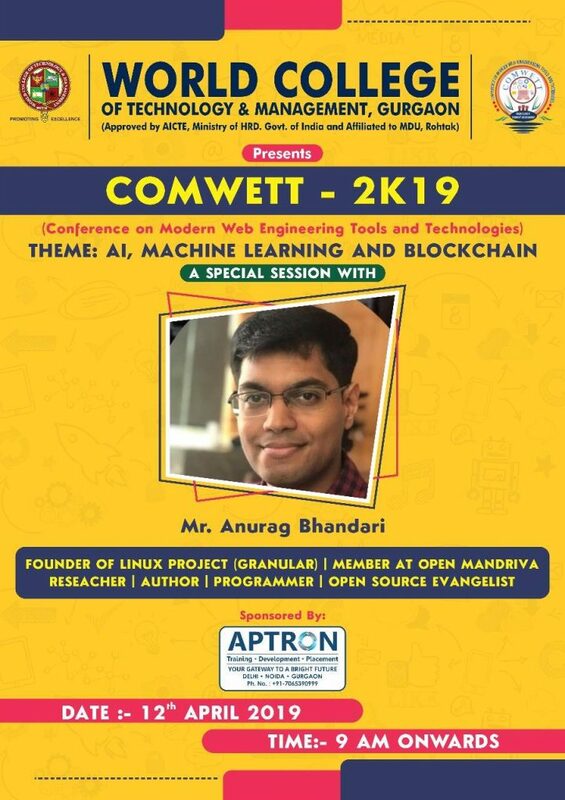 A special thanks to the organizers at WCTM college (especially Dr. Pooja Sapra) for inviting me over and giving me the opportunity to connect with at least a hundred students about something I’m passionate about. And thanks to Nishith Pathak for recommending me at this event. I leave you with a preview of my presentation, hosted at Google Slides. I hope absolute beginners will find it useful. People already working in machine and deep learning, please do let me know your thoughts on how it may be improved. Everyone is talking about Artificial Intelligence (AI). Recent times have seen a big surge in AI research and huge investments in that direction by corporates and academia. Major IT and consulting players have even declared AI as an emerging trend, and have started offering AI-based services to their clients. Working at Accenture Labs, it’s a privilege to play with the latest and the greatest trends. All cutting edge work at Accenture begins at Labs. My team was tasked with creating a Skype for Business bot: a virtual agent – just like a Facebook chat bot – to intelligently understand and respond to user’s queries, in a way a human does. As some people would guess, this required some sort of natural language processing (NLP) capabilities to be added to the bot. With the recent explosion of cognitive offerings from the “biggies”, we didn’t have to start from scratch in order to implement such a profound functionality. We relied on Microsoft’s LUIS for our bot’s language understanding capability. Although working with LUIS was fun, the curious keeda (bug) in me had me looking for alternatives. I soon found out that the concept of intents and entities was common across NLU frameworks. 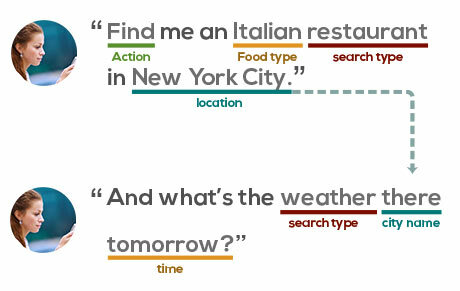 Google’s API.ai and Facebook’s Wit.ai both work on similar models, except they have a slight edge over LUIS in their ability to keep track of context. It’s been a great learning experience so far, and I intend to delve deeper into NLU. And, maybe, explore other AI-based cognitive technologies, such as speech recognition and computer vision (I have dabbled in both in the past). P.S. : On this topic, check out Mark Zuckerberg’s attempt at building Jarvis, his home automation AI.